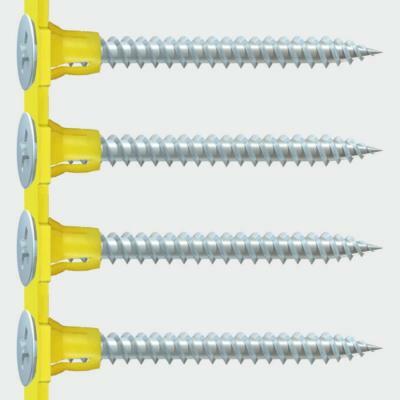 Collated fine thread drywall screws, designed to be compatible with all leading power tools brands. Used to secure plasterboard to timber stud work. A curved surface under head to prevent damage to surface. 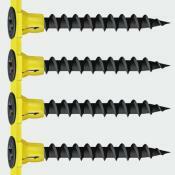 Standard recess for self-drilling and drywall screws. Special Thread Configuration gives ultimate performance and high pull-out resistance. 25° Sharp Point for easy penetration into wood, MDF, chipboard, plastics and thin sheet metal.